Skinless & boneless mackerel fillets in sunflower oil. CAUGHT IN THE WILD Caught in chilly Atlantic waters and filleted by hand. 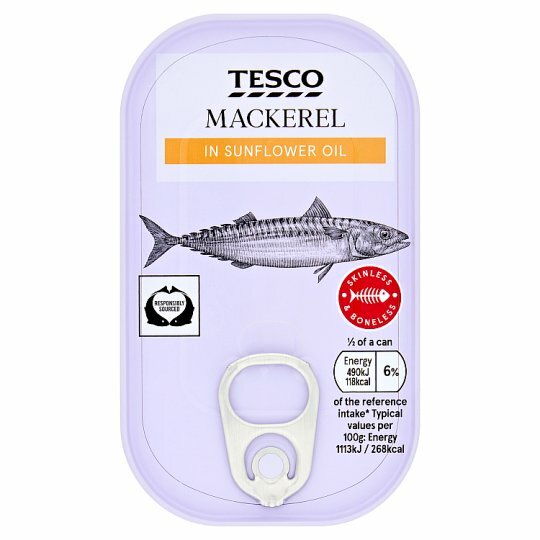 INGREDIENTS: Mackerel (Fish) (74%), Sunflower Oil, Salt.